The story did at first remind me of Will Grayson, Will Grayson but then it got more interesting with the swapping places part. I feel really intrigued and curious to know how it turns out. And the cover especially, is cuuuuute. Love it! I've been meaning to read Meant to Be for the longest. I've heard some pretty awesome things about it :) Great pick! This immediately brought to mind Will Grayson, WIll Grayson for me too. That is one of my all time favorite reads too so it definitely piques my interest about this book. I might have to pick this one up. Fabulous pick! 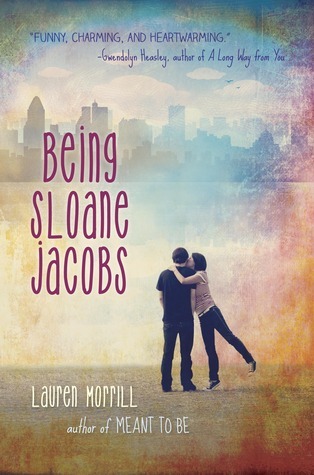 I've heard amazing things about MEANT TO BE - I must pick that up soon. And I haven't read Will Grayson, Will Grayson, but it looks like I'm missing out. Hehe. YES! This one looks SO GOOD!